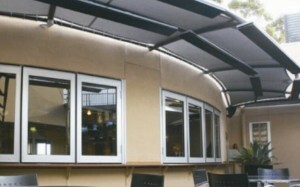 Condensation can be a big problem in cafes and coffee shops where the heaters and steam create a lot of moisture. Traditional convection heaters also add to the problem as they can create moisture. You also have the body heat from your customers as they come from the cold air into the warmth. This all adds up to a damp and moist atmosphere which is not comfortable. Condensation on windows and walls is unsightly and can damage the paintwork, rot the door and window frames and cause long term damp problems, mould and mildew. 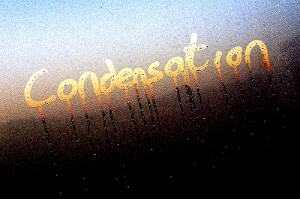 The question is how to reduce condensation without sacrificing the benefit of increased comfort. Infrared heaters can help to solve this problem. conversion of water vapour in the atmosphere. The air which surrounds us in always contains water vapour, which is usually invisible. A typical example is steam from a kettle or off of a boiling pan, which fast becomes invisible as it is absorbed into the surrounding air. The warmer the air, the more water vapour it can hold – but there is a limit to the amount it can hold for a given temperature. When that limit is reached, the air is said to be “saturated”. When saturated air comes into contact with a surface which is at a lower temperature than itself, the air is chilled at the point of contact and releases the surplus water vapour onto that surface. First in the form of a mist but, as more vapour is released it begins to form droplets of moisture. An example of this is when a person breathes onto a mirror condensation occurs because the exhaled air is saturated and its temperature is higher than that of the mirror (which is at room temperature). Another example is when running a hot bath or shower. 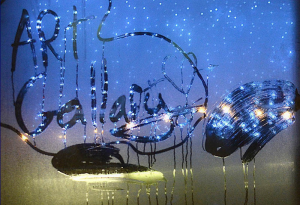 The moisture in the air hits the mirror and window rapidly fogging up. On windows and mirrors it can be wiped and dried and does not cause any long-term damage. However, this moisture becomes more of a problem when it forms on walls as the moisture tends to be absorbed into the plaster and brickwork creating a long-term problem. Over time, the damp impregnate’s the wall and mould begins to form which is not only unsightly can also be damaging to health. Water vapour content of the air. The first two factors are normally controllable. As we know, this is produced by the equipment in the premises, people given off heat and the convection heaters. When people are coming in and out of the building and the doors being constantly opened and closed, businesses try to compensate by increasing the heating system to allow for the hot air escaping from the room. This cannot be controlled, but it can be countered when it falls by increasing the indoor heating. How do infrared heaters deal with this problem? Unlike traditional heaters, our infrared heaters radiate heat into the room warm in the fabric of the building. This includes the walls, floors, furniture, windows and, the people. These warmer surfaces prevent the formation of condensation. Also, as they do not rely on convection, they are not as affected by the cold air and drafts caused when people are coming in and out of the building.